Art education for children in Korea was greatly biased on the Western paintings. Students learn Western paintings in school, using western style paints and pencil. They also learn traditional painting but drawing traditional paintings is relatively rare event. The balance between those Western and traditional arts has been collapsed. The problem is that this destruction of balance can cause biased development of people’s artistic sensibility. Since these sensibilities are formed almost completely in childhood, biased art education can yield biased, non-general perspective of art. To solve this problem and establish proper form of art education, here is the first traditional art class for children held by Traditional Cultural Foundation and its affiliated organization Artin Academy. This program will be a great challenge and an opportunity to change our chronic weakness of art education. In this program, the term “Gifted Children” does not mean children who have great talent about art. Since we can’t measure children’s talents, we can’t judge the children whether they are gifted or not. So, this traditional art education program is more a program which ‘makes’ gifted child, rather than a program which searches for children who is already gifted. Educated by great painters, children will get the class to form proper and desirable artistic sensibility. The class is held with variety of materials to feel both traditional and modernistic arts. Children will learn how to express themselves using the spirit, variety subject matter, and beauty of space in Korean paintings, with the technique in Western art. Lee Jong Sang, the great artist who drew “Shin Sa-im-dang” which worths 50-thousand-won bill and “Scholar Yul-gok” in which worths 5-thousand-won bill, will give us special lecture “Misperception and Truth about Our Traditional Paintings,” and 13 other artists who studied under Lee will teach children directly in class. 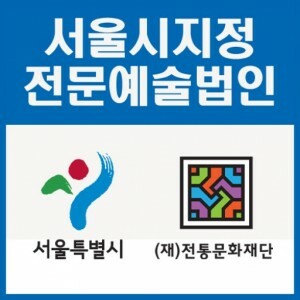 This program will be operated for about 1 year, from February 22, 2012 to March 8, 2013, at Artin Academy located in 6th floor of Korea Artists Center. First semester is from March 10 to June 23. Second semester is September 1 to December 15. Both semesters are comprised by 15 classes, and in the end of the course, in January, 2013, there will be an exhibition to show children’s paintings. First semester already ended, but if you want to participate in second semester, visit the website of Artin Academy, http://www.artscenter.or.kr, download the application form, fill in the form and send it to Lms0333@naver.com from July 3 to August 17. Audition will be held, but it will evaluate children’s interests in art rather than their painting skills. Audition fee is 20,000 won, and you should prepare pencils, erasers. Any other materials that you prefer, such as crayons, paints, or colored papers are accepted.